After running several tests with technology partner IBM, US retail giant Walmart Inc. is finally putting its food suppliers on blockchain, according to a Bloomberg report. 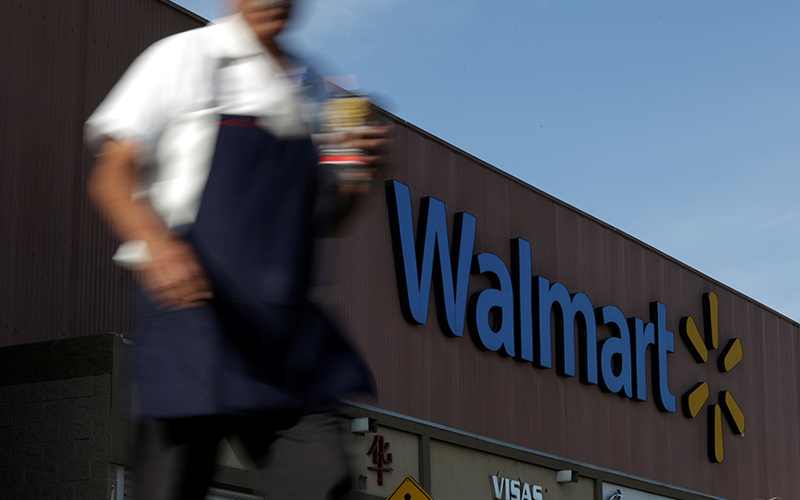 Walmart’s vice-president of food safety, Frank Yiannas, was quoted as saying that his company was ready to go live with the project. He had earlier called the technology the "Holy Grail". Yiannas became a believer in blockchain after the company's first experiment with the tech entailing traceability of a box of mangoes. It took six days for the staff to track down the box but only 2.2 seconds for IBM's blockchain to do the sam task. Another test used the hyperledger to trace different pork products from a single supplier to stores. In another partnership forged in December last year, Walmart, Chinese e-commerce company JD.com, IBM, and Tsinghua University National Engineering Laboratory for E-Commerce Technologies said they would work together to boost food tracking, traceability and safety in China. There remain several challenges for blockchain such as pointing out the source or origin of a food ingredient. While Yiannas accepts that pinpointing the source for an ingredient could be difficult, he says it is not impossible. “It becomes harder but it can be done. So, basically what you could do is you track back that the pizza was manufactured at a facility, and then you can track back all the ingredients that went into that pizza and where they originated from. But it adds a layer of complexity that would be very hard to do on paper,” Yiannas said in a report by The New Food Economy, a non-profit newsroom. Interestingly, Brigid McDermott, IBM’s vice-president of food safety, admitted in the report that the initial data on the blockchain might not be as clean but the quality would improve over time. “I think that by putting the information on the blockchain, you make it more accessible, which makes it easier to discover accidental errors, and it makes it easier to trace any intentional errors, or fraud,” McDermott said in the report. Walmart is one of the 63 clients IBM has been working with on blockchain projects. Other clients include AP Moller-Maersk, HSBC, Visa Inc. and Nestlé. "For us, blockchain is a set of technologies that allow our clients to simplify complex, end-to-end processes in a way that couldn't have been done before," IBM chief financial officer James Kavanaugh had said in an earnings call late last year. IBM's president of blockchain technology, Jerry Cuomo, had said the US government should deploy blockchain for tax payments, creating secure identities, tracking food and drug shipments, and more, according to a report by news portal Business Insider. According to research firm MarketsandMarkets, the market for blockchain-related products and services will reach $7.7 billion in 2022, up from $242 million last year.